Everyone knows werewolves come out once a month, triggered by the rising of a full moon. So when the moon is right in the middle of a waxing and waning gibbous, it’s time to lock the windows and doors if you’re a Lupophobe because that moon’s hitting maximum fullness. The history of the terrifying sickness/curse that morphs a human into a wolf is well-tread territory in movies and books, and has folkloric origins dating back to the Middle Ages. Stock up on silver if you’re wondering how to defend yourself, or follow the old adage “can’t beat ’em, join ’em” and shapeshift into the supernatural beast on your own and you don’t even have to wait for the full moon. As a costume idea, werewolf gets extra points for ease since you can wear regular clothes. We think the look is more convincing if you take some scissors to the clothes for that freshly transformed rugged appearance. 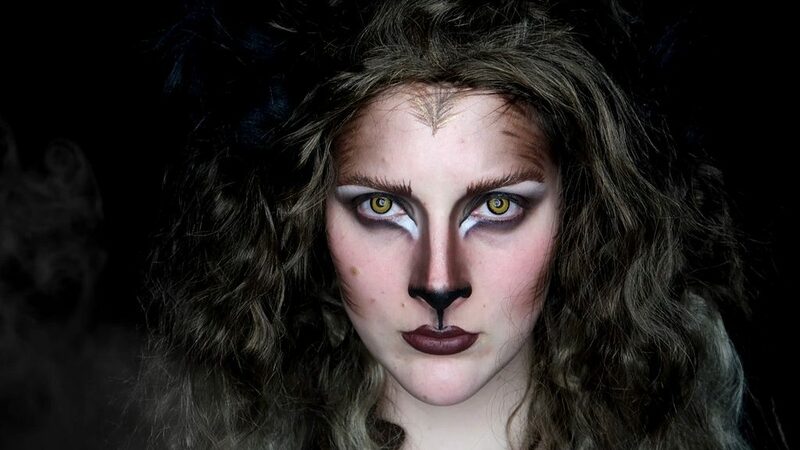 Fangs, ears, beast hands and a wig can help you finish the look. And of course a little fake blood to show your, uhmm… love for meat! 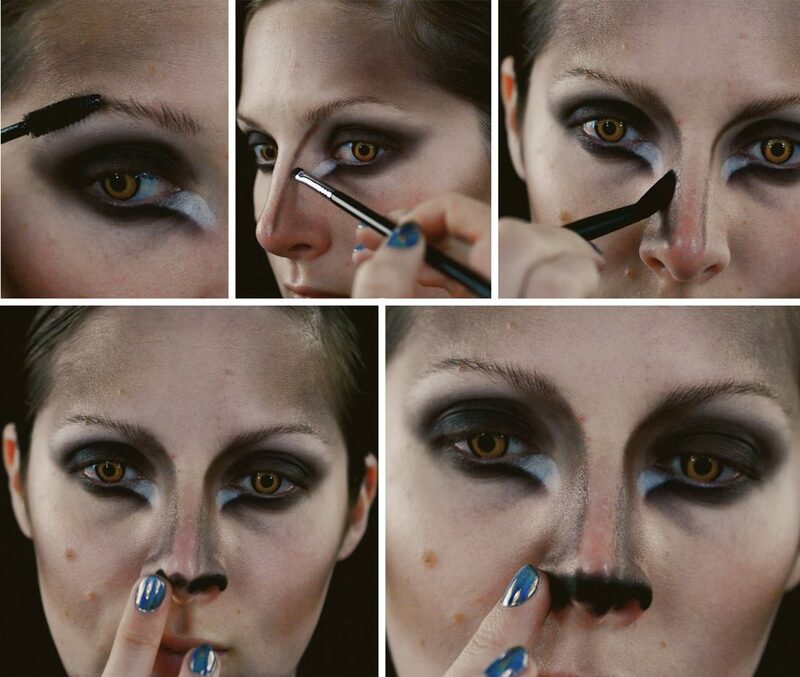 We asked Caitlyn Kreklewich to give us a lupine makeup look with a femme twist. 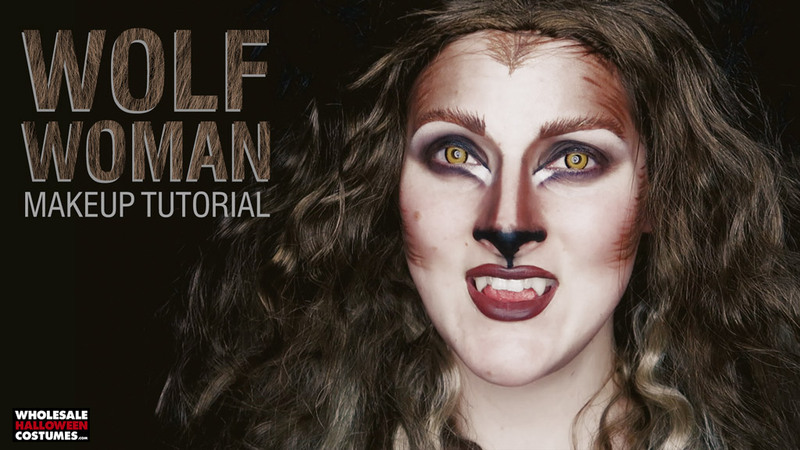 Check out this video to see her version of a Wolf Woman then follow step by step below. Entertained but not convinced of your own makeup skills? Or maybe you’re just in a hurry. At WholesaleHalloweenCostumes.com we sell plenty of Werewolf Costumes to help with that beastly transformation. 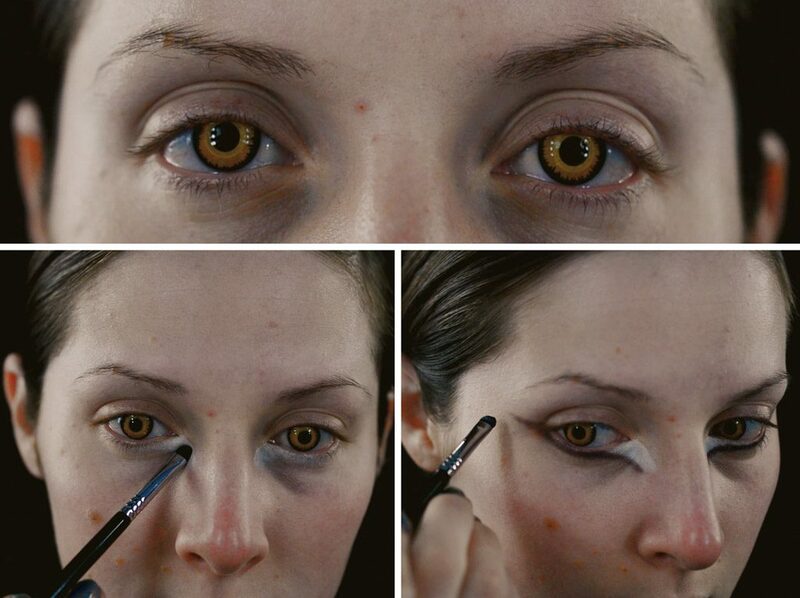 To make this look even more extra, pop in yellow contacts. 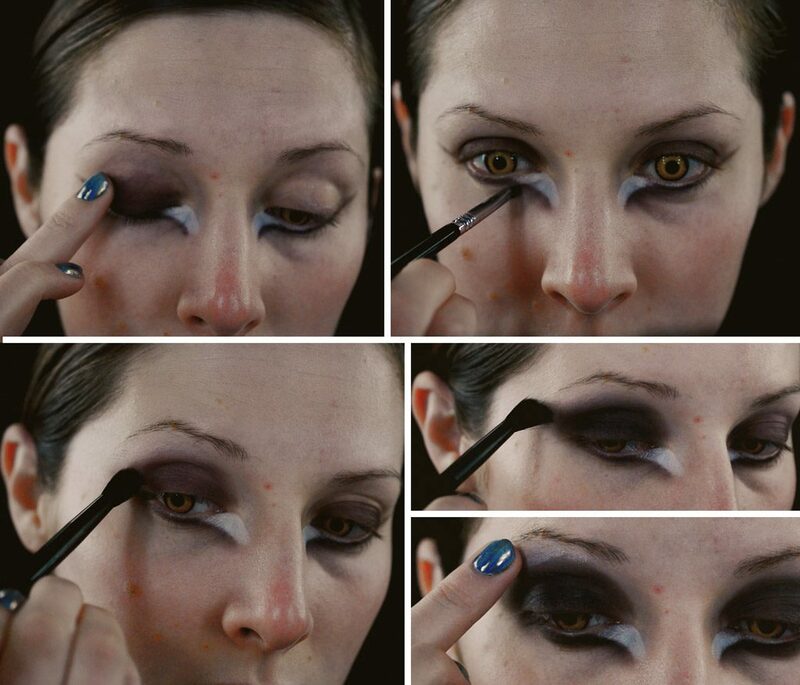 Lay down white eyeshadow on the lower, inner corner of each eye as a little downward swoosh. Using black, line under the white swoosh, along the lash line and taper past the lash line toward the temple. Cover the upper lid with black shadow. 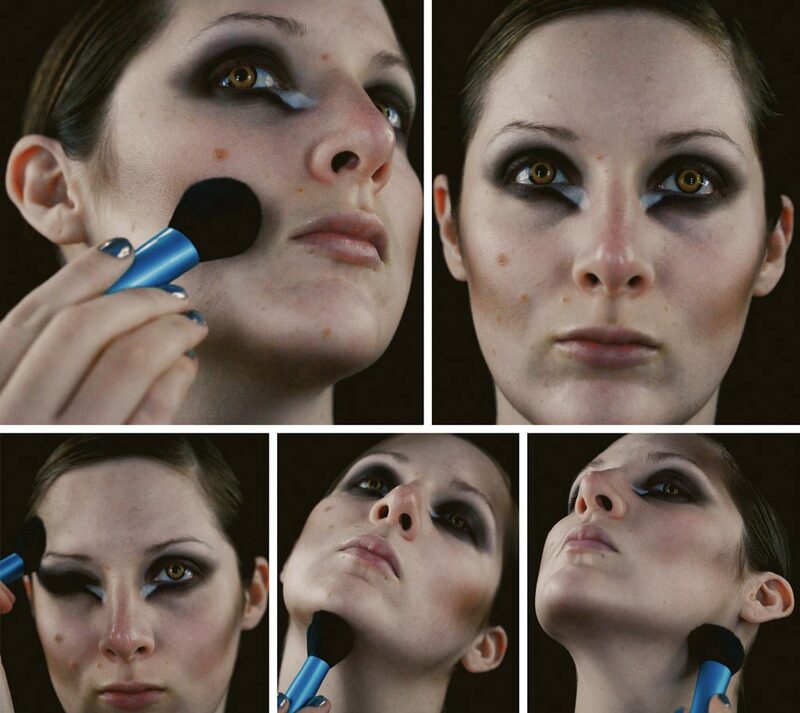 Blend and soften the line under each eye with black shadow. With a fluffy brush add more black shadow to the upper lid and blend the edges until very soft. Add a little white shadow just under the out brow and blend. With a giant fluffy brush, add contour with a brown shadow under the cheekbones, on the temples and under the jawbone and chin. Brush your brows upward using clear mascara. 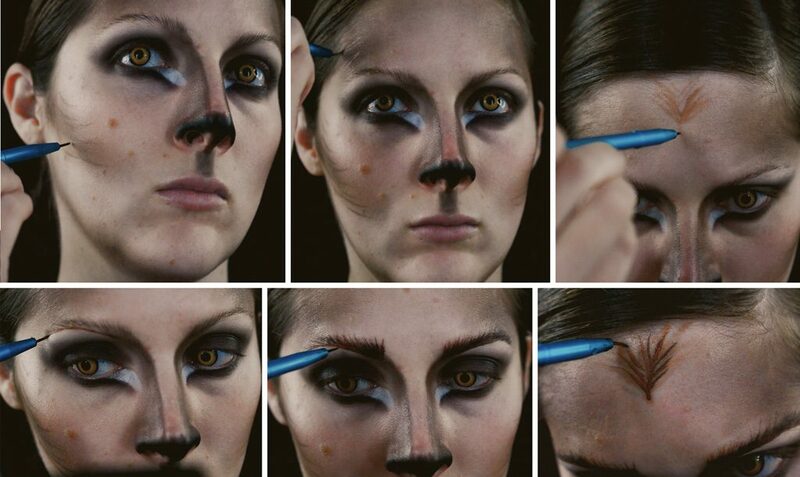 Lay down a line along each side of the nose from the brows to the tip of the nose. 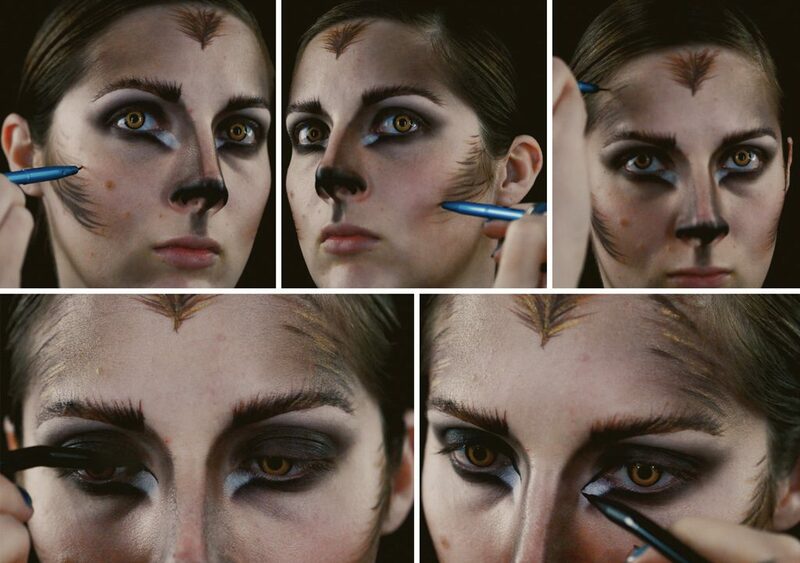 Use a brush and a bit of shadow to soften the lines along the side of the nose. Leave the bridge of the nose free of any shadow. Add black shadow underneath the tip of the nose and along the bottom edges of the nostrils then down onto the cupid’s bow. Use a light brown liner and loosely add hair-like lines over the contour on your cheeks and temples. With the same technique add a widow’s peak at the center of your hairline. Use a darker brown liner to add bushiness to your brows with small upward lines over your natural brows. With the darker liner add another layer of hairs to the widow’s peak. Add another layer of hairs with the dark brown liner over the contour on your cheeks and temples. Finish the eyes with black liner on the upper lash line, extending and tapering it inward toward the nose. Paint a thin line on the middle of the cupid’s bow from the black nose to the top of the lip. Paint in the entire lip with burgundy red lipstick. Apply a set of fangs of your choosing according to package instructions. Here’s what you should look like after you put on your wig and ears! 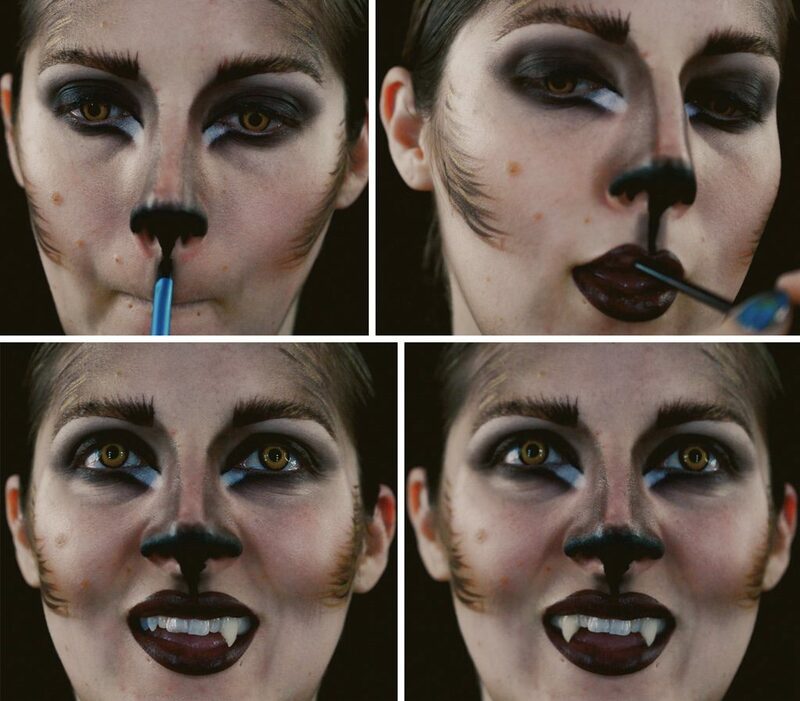 The perfect look if you plan on having a howling good time! Not ready to make this transformation? Save it on Pinterest!